New Restaurant in Town. Be our guest. The renovated Tudor Hall Restaurant is ready to welcome you in the heart of the city, overlooking the magical historic heritage of Athens. Experience authentic Greek seasonal dishes with a modern twist. 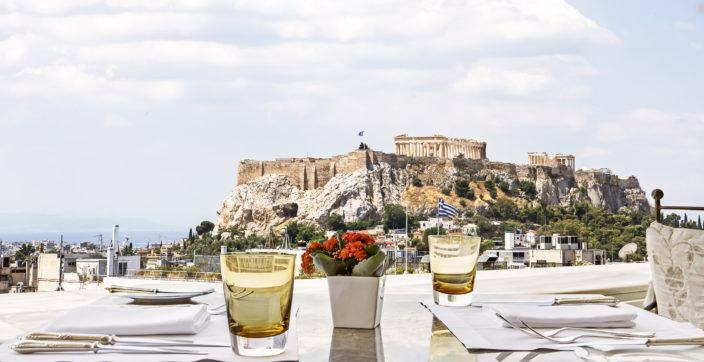 The Tudor Hall Restaurant, located on the 7th floor at the King George, a Luxury Collection Hotel, has been renovated and is ready to welcome you in the heart of the city, overlooking the magical historic heritage of Athens. Experience authentic Greek seasonal dishes with a modern twist. 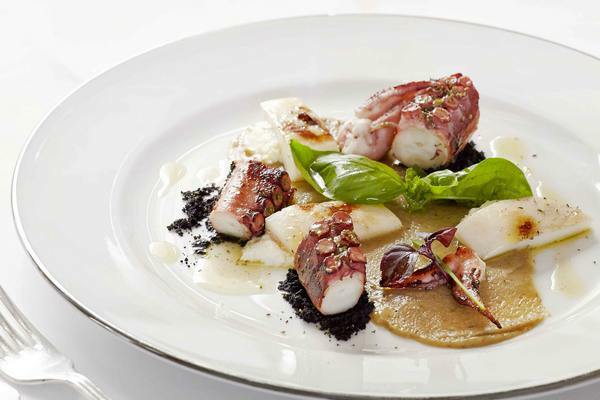 A combination achieved through the passionate Executive Chef Sotiris Evangelou, whose name is synonymous with quality. The use of fresh seasonal vegetables and raw materials is one of the reasons why the restaurant menu is continuously being updated. 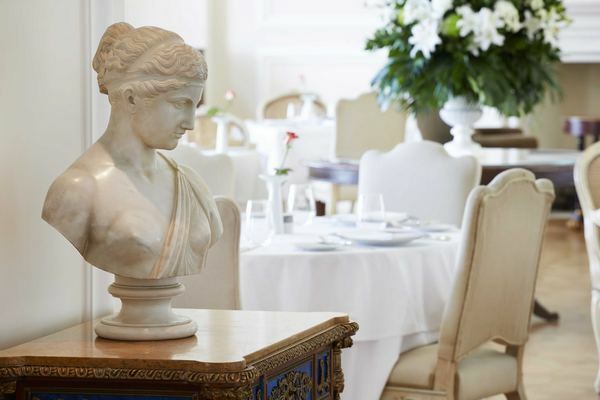 The extensive Greek wine list is also very interesting and has been curated by hotel sommelier, Evangelos Psofidis. 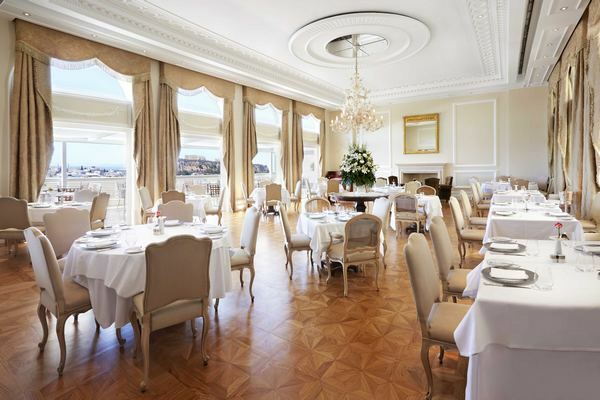 The restaurant is open daily for breakfast, lunch and dinner. Join us and allow the romantic atmosphere and the eclectic decor to seduce you.